pics don't even begin to do it justice . 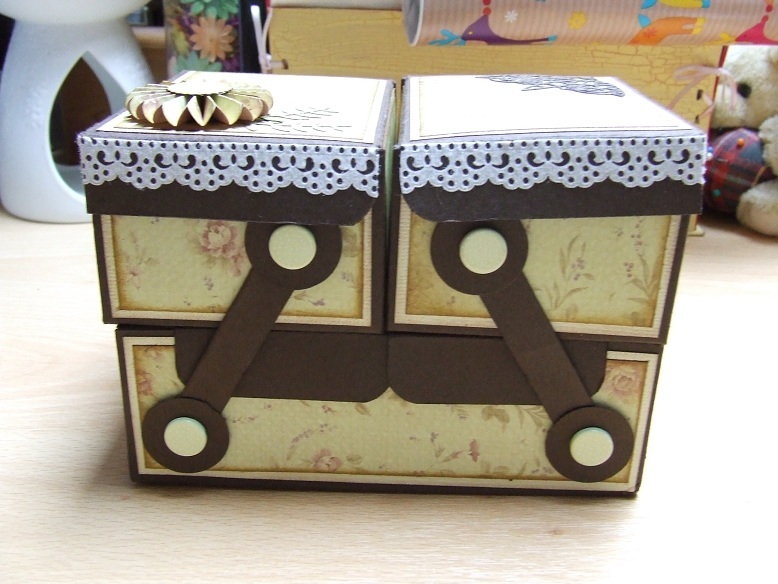 A fab cantilever box stuffed with goodies; ribbon, thread and loads of other stuff. 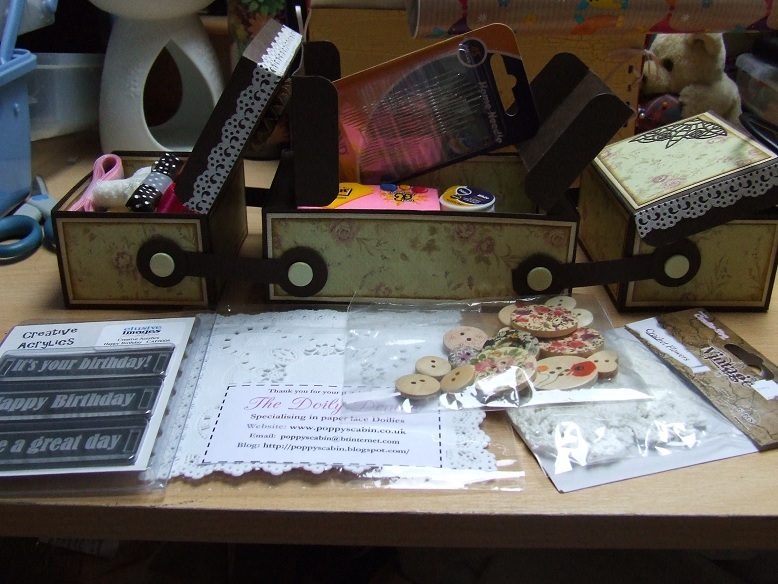 Plus a pile of fab doyleys and acrylic tags, crochet flowers, the most adorable wooden buttons and goodies. There were also some chocolates, but for some reason I couldn't seem to find them for the photograph Thank you Lou, it's all gorgeous!! Wonder if they disappeared into the same place as the Thornton's shortbreads? Fabby box there, and lots of goodies, too. Glad you like it hun. Hope the socks fit, lol. When I bought you the crochet flowers I thought maybe I couldn't part with them, so I went back and got some more, pmsl. Wow wonderful box and loads of goodies for you Tina. LOL at going back and getting some flowers for yourself Loraine. Beautiful box you are a lucky girl Tina. When you said you'd got the box I thought it was a purchased box, but no, Oh my, how amazing is that, yummy.